Three potential solutions worth considering to help make Brooklyn's proposed Residence Inn by Marriott more pedestrian friendly. Baywood Hotels Inc., through Parkview Plaza Partners LLC., has proposed constructing a six-story, 135-room Residence Inn by Marriott at the intersection of Forest and Magnolia Streets, across from Unity Plaza and 220 Riverside in Brooklyn. The development team seeks to obtain conceptual and final design approval from the Downtown Development Review Board (DDRB) as quick as possible to ensure that construction on the 110,000-square-foot hotel, featuring a rooftop pool and deck, will break ground this year or by early 2019. Unfortunately, due to an adjacent property owner not interested in selling their land, the hotel project includes surface parking that takes away from the urban pedestrian scale experience envisioned for the Brooklyn neighborhood. Further complicating the matter, there are utilities under Price Street that restrict the building’s footprint from being shifted closer to Forest Street. With that in mind, here are three affordable design steps that can be taken to transform the project into a pedestrian friendly infill development without raising the cost. 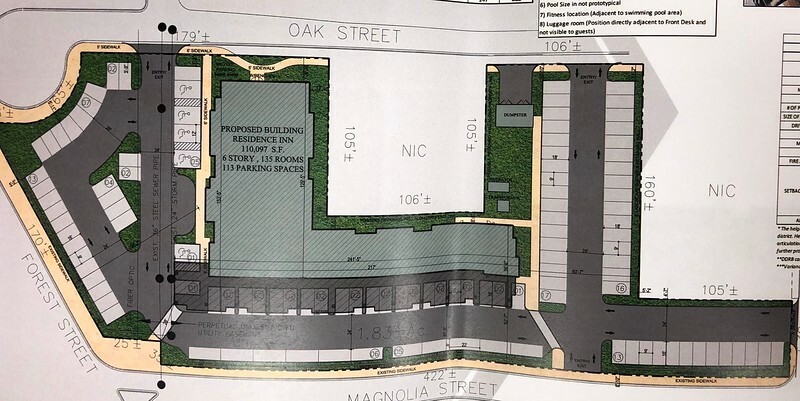 The conceptual plan includes a large surface parking lot between Forest Street and the front of the hotel because it razes an existing warehouse, closes off a block of Price Street and converts the combined space into a surface parking lot. 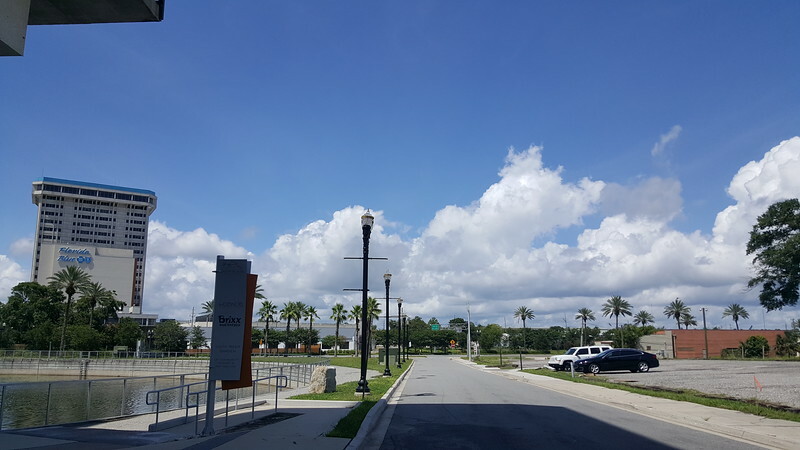 However, since utilities run under Price Street, the building’s footprint can’t be shifted closer to Forest without the significant expense of relocating a full block of utility lines. This entire problem can be resolved by leaving Price Street exactly where its been since 1868. Don’t turn Price Street into an off-street parking lot and the frontage problem and utility issues under Price Street go away. Accommodating on-street parking eliminates the need to raze adjacent buildings between Price and Forest Streets for surface parking. The development team mentioned the hotel needs at least 113 spaces of parking. 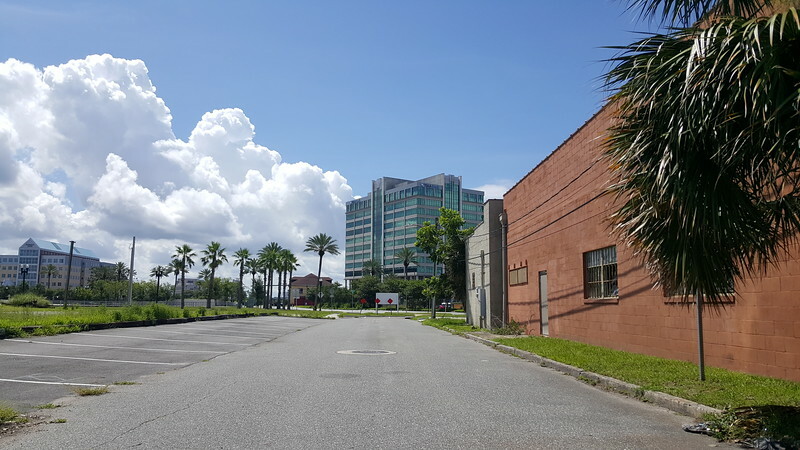 The conceptual plan illustrates that all of this parking would be the type of suburban off-street parking lot that dominants most of sprawling Jacksonville. This situation can be alleviated by retrofitting the west side of Magnolia Street to include parking for the hotel. Additional parking can be accommodated on Price Street. By adding on-street parking to the existing street network, the need for several off-street driveways through the property is significantly reduced. 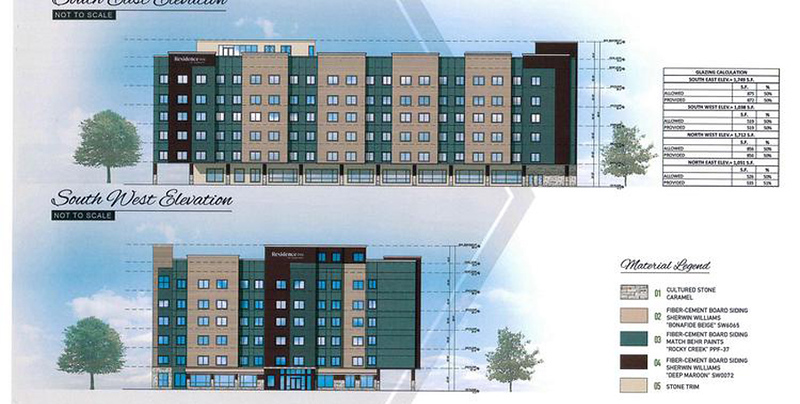 Furthermore, this eliminates the need to demolish the old warehouse on the corner of Oak and Price Streets. Like the distillery project underway across the street, this warehouse and triangular shaped parcel can become a business or space that adds to the vitality of an area that could really use all the density it can. 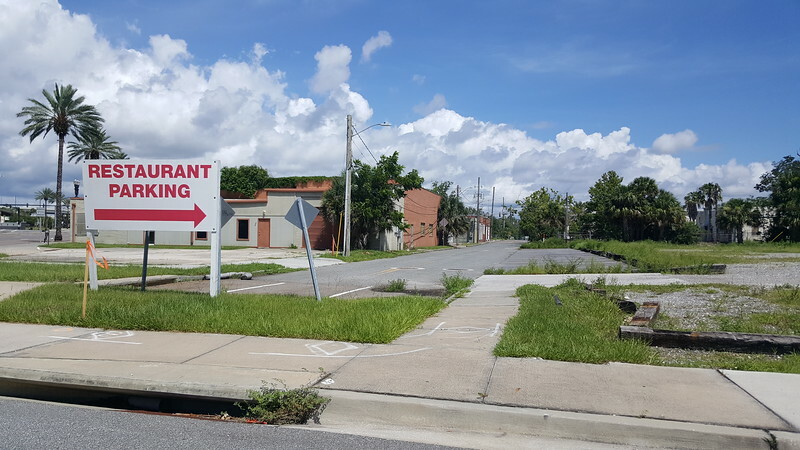 With the reduced need for off-street driveways, the entire building footprint can be shifted closer to Magnolia Street and Unity Plaza without coming in conflict with utilities under Price Street or changing the footprint/construction of the proposed hotel. With these three simple steps, the proposed Residence Inn by Marriott is transformed into a more pedestrian-friendly project.